If you are a Lightning Werewolf, do you have a lightning flower? 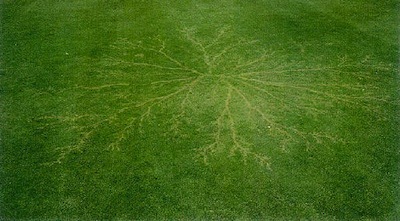 Or a lightning tree? If you’re not sure then the Lightning Moon is an excellent time to find out. Lightning flowers like this one are left when a Lightning Werewolf transforms. 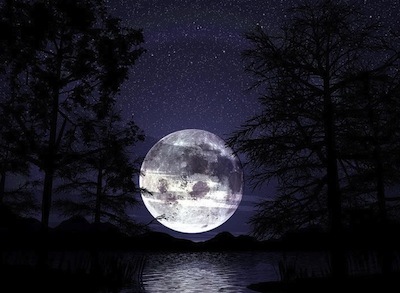 This full moon is sometimes called the Lightning Moon by many cultures because of the large number of electrical storms that naturally occur at this time of year. So it’s no surprise that the werewolves who like to channel electricity aka: the Lightning Werewolves would claim this moon. For three nights, Lightning Clans will use this storm electricity in the air to initiate new werewolves, teaching you how to channel it to transform and fight. You will also learn about the distinctive tracks or lightning flowers that your transformations will inevitably leave behind for others to find. These fractal patterns will appear on the ground, or in the glass of a window or on another conductive object as a result of your massive burst of electricity. Lightning flowers are impossible to prevent when you are channeling up to a billion volts of electricity and equally impossible to hide from werewolf hunters but with any luck, they will fade in a few hours, before anyone can track you. This Lightning Werewolf has many moons. Now you must also know about the lightning flower you will find somewhere on your human skin, immediately after your first moon. 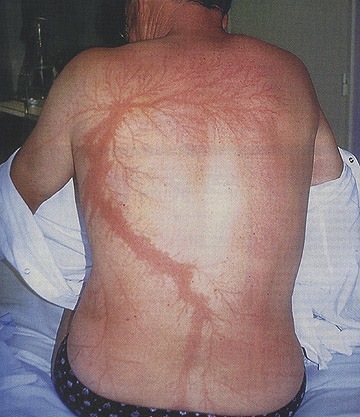 Your lightning flower normally first appears on your upper arm, chest or back but may begin almost anywhere. The pattern and placement of the design will be distinctive and revealed by your clan on your first moon. Your lightning flower can tell other werewolves a lot more about you than just your clan affiliation. For one thing, it communicates your moon age. With every transformation, the so-called flower grows, the branches getting almost imperceptibly thicker and longer until finally it becomes the lightning tree of an older more experienced werewolf. The number of “leaves” on this tree can also tell another werewolf how many battles you have fought and won or lost. Above all, whether you have a lightning flower of a lightning tree, it tells the world that you are a Lightning Werewolf so if you don’t want this fact to be known, you would do well to keep it hidden. 1. Your hair will be more unruly than ever and as the moon reaches its fullest point, it may stand on end. 2. If you wear any metal jewelry, you may hear it start to buzz and hum. 3. Your bank cards may stop working. If these moon effects bother you, don’t worry, it’s just time to invest in a good pair of rubber-soled boots. This poet knew the power of dust in the hands of a Ghost Werewolf like you. 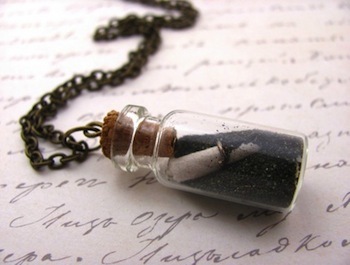 Many Ghost Werewolves wear an emergency vial of dust like this one, on a strap or a chain – anything that doesn’t contain silver. This vial contains Shadowdust. As a Ghost Werewolf, this dust is what helps you change your form quickly and easily. The dust is your link to the other worlds, the spirit worlds and to each other. It makes you a very valuable member of almost any pack as a Psi or sometimes a Theta scout, able to find out things the others can’t and call on resources from another realm. But take a minute to consider what kind of dust will you choose? Shadowdust like in the photo? Or Stardust from before the world began? Maybe Bonedust? All are very difficult to find, gather and contain. And your choice will determine in which ghostly realms you can travel and hunt – or just hang out for a while. But if you are a ghost werewolf don’t spend too long in the other realms. Too long in any other realm and you risk never coming back. Why? Well, many believe that you Ghost Werewolves are the only werewolves who must leave your human form behind you still intact when you transform. For safety reasons, you must never confirm this to anyone except another Ghost Werewolf but if it is true, that would explain why some of you never return to your human self. What happens when your human form is found by somebody who thinks you are hurt? Who thinks you are sleeping and you won’t wake up? Your human form could end up trapped in a hospital attached to tubes and machines that interfere with your ability to transform back. And what happens if your ghost form is defeated or otherwise prevented from returning to your human form? These are secrets to which only Ghost Werewolves know the answer. If any of this is true, as the Ghost Moon rises, a Ghost Werewolf like you must be very careful about where you leave your human self and about not staying away too long. Look very closely at your reflection in a wolf mirror at the height of the Dyan moon and you might see something strange – especially if you are a Dyan Werewolf. To a Dyan Werewolf, the wolf mirror always tells the lupine truth. While your face may appear normal, just an average human, the mirror never lies. When a Dyan Werewolf looks into a wolf mirror, the image staring back will undoubtably be all or part werewolf. Sometimes it’s just the eyes or the ears of the teeth or the whiskers but at the height of the Dyan Moon, it will always be your full werewolf face staring back at you. That’s why the wolf mirror was originally invented and why many cultures who fear werewolves like us still hang a wolf mirror in the entrance of their homes. Wolf mirrors are made of many different fragments of silver mirror glass, usually in the shape of a moon. They may be different colors but all of them are backed by a special silver that reveals the inner wolf. An example of a wolf mirror by Contois Reynolds. You might think that Dyan Werewolves would hate and fear wolf mirrors, avoiding them at all cost lest they accidentally reveal their true identities, but they don’t. No, Dyan Werewolves like you learn to use the wolf mirror to control your transformations in unique and powerful ways. When you, as a Dyan Werewolf, look in a wolf mirror and speak the secret words, your inside wolf can come out, in several unique ways. Sometimes the werewolf image just reflects back on your human face, triggering your transformation from human to werewolf. That’s why many experienced Dyan Werewolves wear a wolf mirror on their person at all times, and use it to transform in a fight. But sometimes on the full moon, if the mirror breaks, the werewolf looking back at you can escape the wolf mirror and enter the world, flesh and blood like you. It’s a paradox but this werewolf is separate from you, but still part of you. The wolf part of you. This other werewolf self will never leave you, but may not always behave in the ways that you want. So while hanging out with your mirror wolf in the real world can be strange and fun, for most Dyan Werewolves it can sometimes create challenges. Your mirror wolf may get you into a lot of trouble! And putting your mirror wolf back can be very challenging after the mirror is broken. You will need another wolf mirror, along with the ability to get your wolf self to cooperate and look into the glass with you long enough to say the secret words in reverse. This is sometimes called re-mirroring the wolf. If you are a highly trained Dyan Werewolf of many moons, you may also know a different spell. A spell that you can only use if your life depends on it. Because with this spell and the right wolf mirror, at the height of the full moon, you may be able to break your wolf self into three separate werewolves. Each of these werewolves will be different from you but still part of you. But if you use this spell, you should know that your chances of ever re-mirroring your three wolf selves are slim to none. Maybe one or two of them, but almost never three. It seems there is always one mirror wolf who will do anything to remain free, even if it means destroying you. These escaped mirror werewolves have no human form at all, ever. And they are not always happy about this. Which explains why the Dyan Werewolves alone have a super-elite, internal remirroring agency, whose agents will hunt down your escaped mirror werewolves. And what happens if one of your mirror werewolves dies, killed by a member of the Internal Remirroring Agent? Is it something you really want to find out? 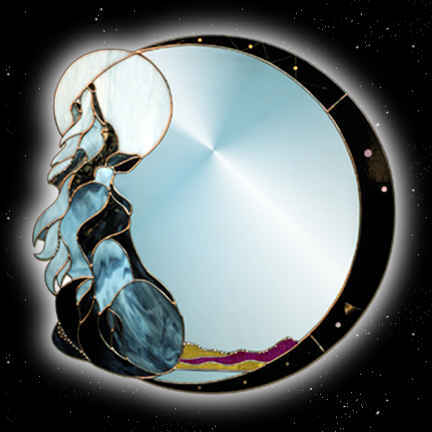 If you are using a wolf mirror this Dyan Moon, think about that before you free the wolf in the mirror. This is the true history of the Wild Werewolves and the Wood Witches. If you are seeing this then no doubt you are one of us but know that reading this binds you to an oath of secrecy. An oath that if broken will cost you no less than your life. As Wild Werewolves we started out living deep in the forest with our wolf families, where we spend our whole childhood as regular wolf cubs, just part of a pack, no knowledge of our human form or human ways, until the first Wild Moon. The first Wild Werewolves started out life as simple wolf cubs and only find their human form on the first Wild Moon. 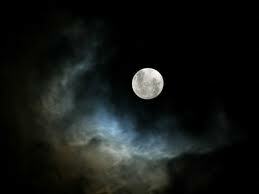 On the first Wild Moon, our hidden human form emerges for the first time, but only for the duration of the full moon. For 72 lonely hours you would be separated from the pack for the first time. Cubs you once played with would be confused and angry to have a human among them. Some of them would even try to attack you. At first, the entire pack might shun you, refuse to take you back, even when the moon begins to wane and you regain your wolf form. Over time, your pack would probably learn to accept you back but would keep you at a safe distance. They would probably never fully trust you again and always remember the human smell. You could never be the alpha or even the beta. You would always eat last. And to win a mate, you would have to challenge the whole pack. There would be many other challenges and you would have to find a way to win the trust of the pack if you wanted to remain a member. The problem is, in those early days, you wouldn’t be human long enough to learn human ways and customs. At first, all you know is how to howl and growl. You won’t even know how to dress yourself or where to find clothes. Understandably, this can get you into a lot of trouble in human society. As you can see, the earliest Wild Werewolves of yore got into a lot of trouble with both the wolves and the humans. Unknown to these earliest Wild Werewolves, we were being studied. A Wood Witch known as Sylvana had been studying one Wild Werewolf, who came to be named Connor, for a long time. Sylvana saved Connor’s life twice. The first time she saved him from the rage of the pack when Connor fell in love with the Alpha’s mate and challenged the whole pack for the right to be with her. She took him in and healed him with her spells. On the new moon, Connor returned to the forest to form his own pack but every full moon after that, he brought his children in their human form to visit Sylvana, who taught them how to speak and read and think like a human. Soon word spread among the wild werewolves and more and more Wild Werewolves began to come to Sylvana’s full moon school. In exchange for this kind witch’s teaching, we the Wild Werewolves pledged to protect her and her kind. As the tree is your witness, you too will be obligated to take the oath. Acquit yourself heroically and you will find there is no better, freer, more magical life you can live. But fail to live up to your pledge and you will find the opposite, a life that is nasty, brutish and very, very short. Choose wisely and live well, young Wild Werewolf. Friends Don’t Bite Friends – But What If You Do? Did you ever bite a friend by accident? If so, how do you tell your friend that he or she is going to turn into a werewolf on the next full moon? How does your clan deal with this situation? Are you responsible for your friend’s life now forever? Or does your clan demand that you go back and finish the job? SOS just received an interesting message from a werewolf named Wild Moon. It appears that Wild Moon may have accidentally bitten one of her friends and wants to know how you handle the situation. How do you break it to somebody their human life is over? What is the etiquette here? Thanks for any help you can give me. Keep on keeping on. Seth Greening: First, what’s with the Twitter feed. I know you Bone Werewolves are not famous for your great howls, but are you telling me that you need Twitter to communicate now? Archie Hartigan: Not exactly. It’s more just how me and my friends communicate. Seth Greening: Your human friends? Seth Greening: Yeah about that. What’s with your friend Pete? Why does he like oatmeal so much anyway? Archie Hartigan: I don’t know if I’m allowed to say right now. You’ll have to clear it with him first. Seth Greening: Okay okay I get it. Secret. Fine. Well then what can you tell me about your first transformation? Seth Greening: Because it’s a secret? Archie Hartigan: No because I don’t remember. All I remember is I woke up in a secure containment facility that looked like a hospital and my friends Pete and Nell told me they got it all on video. They made me watch it. At first I didn’t believe it was me. Then I thought it was a big joke they were playing because I didn’t even go full wolf, just like furious, drooling wolf-man. Seth Greening: What finally convinced you the video was real? Seth Greening: You’re friends with Raven? I know her! She’s a were-maid? Or mer-wolf who splits her time on the full moons between being a werewolf and a mermaid? Archie Hartigan: No, I mean Raven, a bird. One just appeared and suddenly I could talk to her. It. Seth Greening: Oh. What do Ravens like to talk about? Archie Hartigan: Well they speak in poetry so sometimes it’s hard to figure out. But they land on your shoulder and talk right into your ear. Seth Greening: That sounds pretty cool. Archie Hartigan: Yeah. Anyway, because I couldn’t talk to ravens before the full moon I figured that maybe Pete was telling me the truth. Seth Greening: So have you figured out how to control your transformations yet? Archie Hartigan: Not 100%. Raven keeps bringing me things and I keep trying but so far I can’t predict it. Will I be a full wolf? Or a wolf man? Or just like, have one paw that I have to hide in a sling until the full moon is over…? I never know. Seth Greening: What do you mean Raven keeps bringing you things? What kind of things? 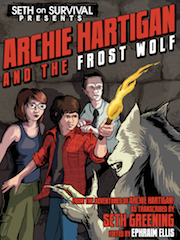 Archie Hartigan: Like all kinds of things. Pieces of string, something that looked like a pearl, a chicken bone… you name it. At first I thought they were all for me, all like, important objects. Then I figured out Raven was also trying to build a nest in the corner of the roof under my bedroom window. But she made it clear that she is looking for something called [insert incomprehensible bird sounds here]. It will help me control my transformations. Seth Greening: Is there a human translation for that? Seth Greening: Is it similar to the Eye of Ghicah’los that you just…. Archie Hartigan: Seth I warned you not to bring that up. Seth Greening: Sorry. Sometimes I can’t help myself. Archie Hartigan: Yeah. I noticed that. I just hope nobody heard you. Archie Hartigan: I better go. 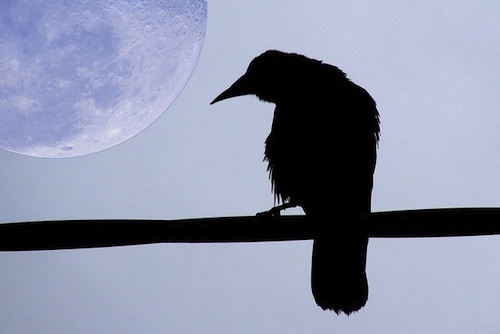 The moon is almost full and Raven says there’s a Poe outbreak in progress. We have to stop it. Seth Greening: I understand. I heard about that too. Thanks for stopping by SOS HQ tonight. Archie Hartigan: Anytime. Keep on keeping on Seth. Seth Greening: Thanks I’ll try. You too. Well the Ice Moon is rising but if you are an Ice Werewolf, chances are good you won’t be staying locked up for the next 72 hours. Not that you don’t want to hang out in your crib. It goes without saying that Ice Werewolves like you have the coolest cribs in chill locations around the globe. Ice Werewolves know that ice is everywhere in the universe. Ice Werewolves like you tend to build your cribs out of crystal materials on the dimensional cracks of existence. As a result your crib is translucent to prying eyes, almost invisible to outsiders, while the inside is in a constant state of flux. In fact, depending on the time of year, your crystal crib could be huge, with 12 rooms or it could have only one big room. Until you understand the crystalline patterns of the icy universe, you never know how big your crib will be on any moon so be careful not to leave valuables inside! You might not see them for a whole a year! Even more complicated, sometimes you – and the whole crib – will disappear too. Especially on the full moon, you will have a tendency to slip through the cracks of the crystal ice structure of the universe and travel through space and time. This is because Ice Werewolves were among the first to discover this truth about the universe, how it froze into existence leaving these invisible ice-like cracks everywhere in space and time. Crack patterns that Ice Werewolves study and learn to manipulate. Back when many scientists still believed that ice could only be found on earth, you Ice Werewolves knew the truth, that ice was everywhere in the universe. How the very structure of ice is the structure of the universe itself. 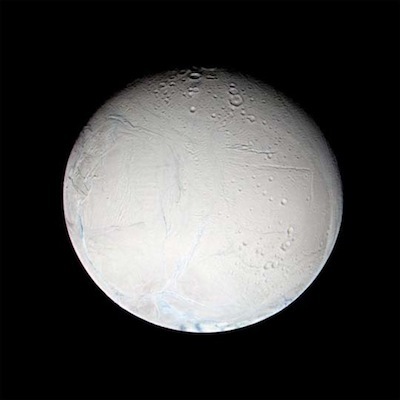 The Ice Moonlight in your veins enables you to learn to “hear” the vibration of all the different kinds of ice and see the crystal structures and how to use them. Before you knew that you were an Ice Werewolf, you might have wondered why you could chill people out or stop them cold in their tracks with just the sound of your voice. Or why even in human form, you could stand so still that other people couldn’t see you, even if you stood right in front of their eyes. Or you might have wondered if you could slow time and spent hours experimenting, staring at a clocks or people, trying different ways to slow them down. Well wonder no more. To you Ice Werewolves, all of these things are possible, with time and study. Ice Werewolves were the founding clan of the Akasha Alliance and still count among the strongest members. Every year that you train with them, your powers will get stronger. You will learn all the different powers and structures of ice and how to use this to achieve your goals. Just try not to make any enemies of Frost Werewolves. Don’t listen when the Frosties tell you to spend more time flinging frost darts and icicles and less time staring down the true structure of things. This rivalry is not helpful, especially when you actually have so much in common. 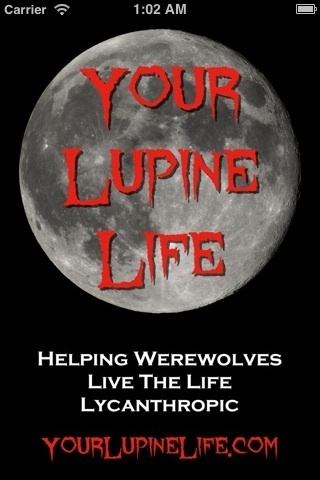 For more information on Ice Werewolves or the Ice Moon please click here or alternately please visit the werewolves page at sethonsurvival.com. Oak Werewolves and Faeries meet in the forest on the full moon. The full Oak Moon tonight is a very special and dangerous time for Oak Werewolves. If you are an Oak Werewolf, you will be asked to journey to a certain tree, deep in the forest for a very special moonlight meeting. A meeting in the deepest, darkest part of the woods between Oak Werewolves and the faery folk who work together to preserve a magic flame. For an Oak Werewolf like you, it will all begin with a secret signal from the faery tree. Remember that strange bracelet or keychain you have? It is probably made of wood or else it has a tree on it and maybe looks something like this one? Oak Werewolves have an object or talisman like this one to help them. Well can you remember where it came from? You can try to remember but chances are you can’t remember their face. Because it is a faery talisman that is given to Oak Werewolves like you. It is a very powerful talisman that gives you special powers, along with special responsibilities. 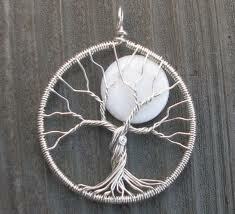 One Oak Moon like this one, the talisman will begin to glow with a signal from the faery tree. Don’t be afraid when it starts to glow. As the moon waxes bigger and bigger in the sky above, the signal will grow stronger and your oak pendant will glow brighter. This signal is from the faery tree telling the Oak Werewolves where to meet. You must travel to the meeting tree. You will run wolf at night and sleep in human form during the day. As an Oak Werewolf, you must learn very quickly how to identify the best trees for sleeping before the sun rises. They may look small and cramped from the outside but if you can find the entrance, marked by a certain knot before the sun comes up, you will find a place inside that is better than the best hotel room in the world! There will be a warm hammock and all the hot chocolate you can drink. And in the morning you can have pancakes with tree syrup, the most delicious and filling breakfast you can have at this time of year. But no sleeping in! 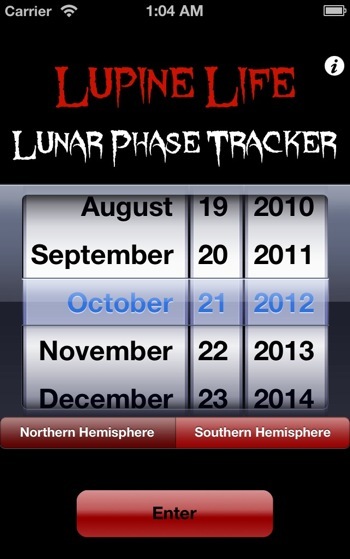 Remember you must get to the tree before midnight on the second night of the full moon. That’s when the secret meeting begins. As you get closer and closer to the secret tree, your talisman will glow brighter and burn with a kind of cold heat on your skin. Don’t be afraid, this just means you are on the right path. You will know that you have arrived when you see the biggest, oldest tree in the forest, full of faeries behind every branch, who wait for you with glowing eyes and shifting faces. Don’t be afraid of them. They can’t leave the tree. And besides, they are more afraid of you than you are of them. Faeries are terrified of werewolves. But they made this deal with your clan because you are the only beings on earth they will trust to help keep the flame of their warring world alive. As an Oak Werewolf, you don’t help the faery realm alive because the faeries give you special powers. Although they do give you special powers. Powers you can channel with your talisman. But that’s not why you help them. You help them because you know that if their world is lost to the forces of cold and darkness, then our world will fall soon after. One last thing. If you are a new werewolf and you have never made the Oak Moon journey before, you must not try to to it alone. You will never make it. You will get lost in the woods or freeze to death trying to find a warm tree to sleep in. You must make your first Oak Moon journey with an experience Oak Werewolf who will bring you on the moon of your first transformation. If you haven’t made the journey yet, be patient. It won’t be long! 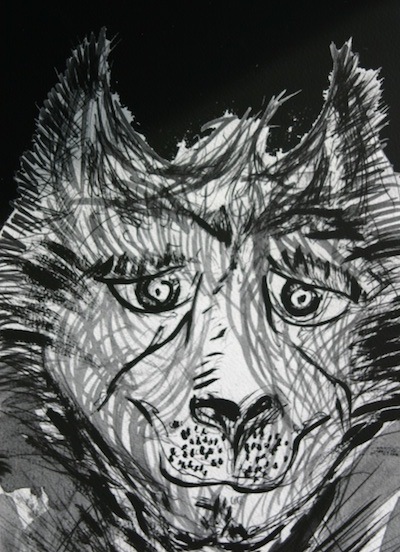 For more information about Oak Werewolves please visit the Oak Werewolves page. 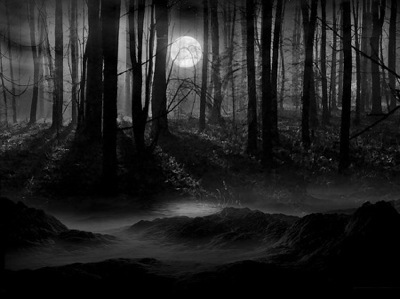 For more information about fairies or werewolves please visit SOS at sethonsurvival.com.